ASTM B861, UNS R50400, DIN 3.7035. Titanium UNS R50400 Pipe, Nickel Alloy Gr 2 Tubing, Titanium DIN 3.7035 Pipes, Titanium UNS R50400 Welded Pipes, WERKSTOFF NR. 3.7035 Tubing, ASME SB861 Titanium Seamless Pipes Supplier in Mumbai, India, Titanium UNS R50400 Pipes, ASTM B861 Titanium Gr 2 Pipes. Titanium® Alloy Gr 2 Pipes, Titanium Gr 2 Tubes, Titanium Grade 2 Tubes, Grade 2 Pipe Price, Titanium Gr 2 Welding Pipes, Grade 2 Titanium Pipe, Titanium EFW Pipes, Titanium Gr 2 Pipe, Titanium Gr 2 Tubing Exporter, ASTM B163 Titanium Gr 2 Electric Fusion Welding Pipe, Titanium Gr 2 Electric Resistance Welded Tubing, Ti Pipes, Titanium Gr 2 Tubing. The Titanium Gr 2 Pipes is being produced by using the qualitative untreated material by the producers now. This item is often used wherein the chemical processing is done. This grade item is popularly known for its high quality, durability, and resistance to corrosion. These are utilized to the greater extent in numbers of industries all across the globe. As compared to the various other grades items, this item us the little bit stronger as well reliable and is offering corrosion resistance at different atmosphere. The pipe is offered in the custom-made specification, wall thickness, and sizes by offline and online trader’s both. Such item is meeting the national and international quality of standard on customers demand. The item is offered at the economical rates to the buyers. The pipes are highly popular for its durability and wear resistance property and are called as R50400. The item is going through numbers of heat treatment and after it; these pipes come in the expert's hand for giving perfect shape and size as per the demand of buyer. The standard specifications of it are ASME SB337, 338 and ASTM B338, 337 and AMS 4942. The size of it is ranging from ½” NB to 24” NB IN into various such like SCH 10s, 40s, 160s, 80s, XXS. The schedules of it are SCH 40, 80, 160, XXS, XS etc. The type of it is seamless, ERW, welded and fabricated. The ends of it are beveled, treaded, and plain end. The forms of it are rectangle, square, hydraulic, round etc. In length, it is available as single, double random and cut length. Buy it from Jayesh Metals to have good deal. Pipe Size Range: ½"NB to 24"NB in Sch 10s, 40s, 80s, 160s, XXS. 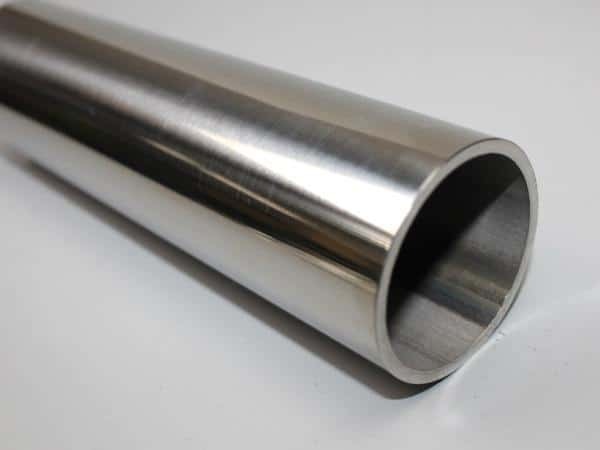 Tube Size Range : 1mm OD upto 254mm OD in Thickness 0.1 to 20mm. 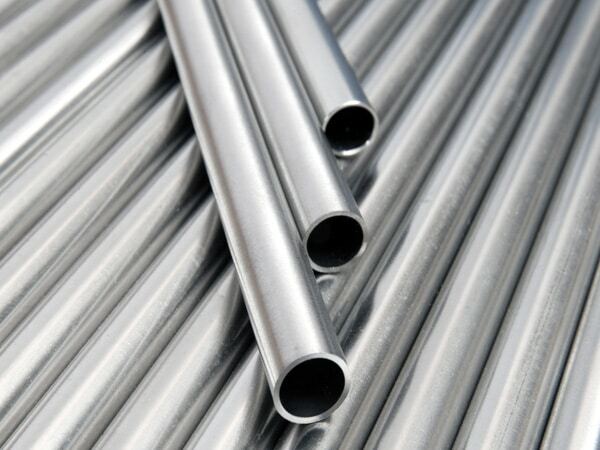 titanium grade 2 tubing sizes, titanium gr 2 pipe manufacturers in india, titanium grade 2 pipe grades chart, nickel alloy gr 2 pipe supplier in mumbai, titanium grade 2 pipe price per foot, schedule 40 titanium gr 2 pipe, grade 2 titanium pipe schedule 80, jindal titanium gr 2 pipes price list, titanium gr 2 tubes exporter in india, titanium gr 2 pipe manufacturer in mumbai, gr 2 titanium pipes dealer in mumbai, titanium gr 2 rectangular tubing, nickel alloy gr 2 pipe prices, grade 2 titanium tubing, titanium gr 2 pipe specifications astm, titanium gr 2 pipes supplier in india, 3" titanium gr 2 pipe, tgr 2 titanium pipe, gr 2 titanium pipe specifications, schedule 40 titanium gr 2 pipe dimensions, titanium gr 2 pipe weight chart, jindal titanium® alloy gr 2 pipe price list, gr 2 titanium pipe schedule 10, titanium gr 2 pipe schedule chart, titanium grade 2 seamless pipe suppliers in mumbai, gr 2 titanium pipe price list, titanium gr 2 tubing 3/8, schedule 40 gr 2 titanium pipe pressure rating, schedule 160 titanium gr 2 pipe, titanium pipe price list, grade 2 titanium pipe dimensions, titanium gr 2 pipe manufacturers in mumbai, grade 2 titanium pipe price list, titanium gr 2 weight chart pdf, titanium gr 2 pipe prices. Germany, Kuwait, New Zealand, Slovakia, Iran, Algeria, Netherlands, Portugal, United States, Spain, Mongolia, Morocco, Greece, Finland, United Arab Emirates, Argentina, Nepal, Vietnam, Puerto Rico, Bolivia, Iraq, Colombia, Australia, Mexico, Egypt, China, Ukraine, Nigeria, Italy, Yemen, Philippines, Romania, Norway, Jordan, Israel, Canada, Tibet, Bangladesh, Ireland, South Africa, Bhutan, Malaysia, Taiwan, Indonesia, Mexico, Kazakhstan, Poland, Macau, Poland, Brazil, Sri Lanka, Chile, Pakistan, Ecuador, Namibia, Costa Rica, Saudi Arabia, Belgium, Switzerland, Venezuela, Trinidad & Tobago,Tunisia, France, Thailand, Croatia, United Kingdom, Angola, Iran, Kenya, Lebanon, Bahrain, Estonia, Czech Republic, Hungary, Hong Kong, Chile, Bulgaria, Gabon, Turkey, Denmark, Peru, Singapore, Belarus, India, Libya, Qatar, South Korea, Afghanistan, Serbia, Ghana, Oman , Azerbaijan, Nigeria, Sweden, Japan, Austria, Russia, Zimbabwe, Gambia, Lithuania. Lahore, Bhopal, Istanbul, Gimhae-si, Granada, Al Khobar, Milan, Dubai, Busan, Toronto, Singapore, Atyrau, Chennai, Chiyoda, Gurgaon, Navi Mumbai, Ludhiana, Haryana, Montreal, Geoje-si, Nashik, Vadodara, Hanoi, Seoul, Jeddah, Bengaluru, Nagpur, Courbevoie, Algiers, Manama, Hyderabad, Rajkot, Melbourne, Kolkata, Kanpur, Edmonton, Thiruvananthapuram, Cairo, Sharjah, Madrid, Bogota, Mexico City, Ernakulam, Al Jubail, Tehran, Moscow, Ulsan, Chandigarh, Pune , Jamshedpur, Visakhapatnam, Dammam, Lagos, Jakarta, Abu Dhabi, London, Los Angeles, Thane, Kuwait City, Riyadh, Surat, Kuala Lumpur, Karachi, Mumbai, Hong Kong, Dallas, Port-of-Spain, Santiago, Doha, New York, Rio de Janeiro, Bangkok, Brisbane, Ranchi, Muscat, Colombo, Jaipur, Pimpri-Chinchwad, La Victoria, Aberdeen, Petaling Jaya, Sydney, Perth, Secunderabad, Indore, Ankara, Coimbatore, Calgary, Ho Chi Minh City, Baroda, New Delhi, Faridabad, Houston, Howrah, Ahmedabad, Noida, Caracas, Ahvaz, Vung Tau.